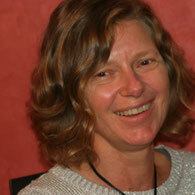 Catherine Viot - associationforinsurancemas Webseite! Viot C., Benraïss-Noailles L. The link between benevolence and well-being in the context of human-resource marketing, Journal of Business Ethics, DOI 10.1007/s10551-018-3834-1. Viot C., Le Roux A., Kremer F. (2014), Attitude towards the purchase of counterfeits: antecedents and effect on intention to purchase, Recherche et Applications en Marketing (English edition), 29, 2, 3-33. Viot C., Bayart C. et Lancini A. (2017), The Consumer Intention to Adopt Smart Connected-Products: Does the Category Matter?, Conference for Marketing in the Insurance Industry, Octobre 19th, St Galen, Switzerland.